Born in Melbourne, Jarrod Butler is an Australian clarinetist who completed the Bachelor of Music (Performance) at The Melbourne Conservatorium of Music under MSO Associate Principal Clarinet Philip Arkinstall. Jarrod currently holds clarinet and saxophone teaching positions at several private schools in Melbourne where he directs small and large ensembles including concert bands and an orchestra. He is a regular woodwind tutor for Melbourne Youth Orchestras and works as manager of the John Antill Youth Band. Throughout his studies Jarrod was section leader of the Conservatorium Wind Ensemble directed by Andrew Mott. He was also principal clarinet of the Melbourne Youth Orchestra. Jarrod currently plays with the Melbourne Wind Ensemble and Australian Discovery Orchestra. A deep love of chamber music has also allowed Jarrod to form several of his own ensembles including a wind quintet and clarinet quartet. 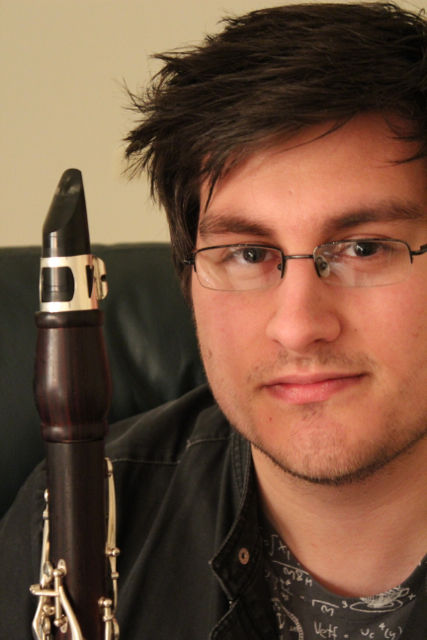 A fascination with contemporary composed music and jazz styles allows Jarrod a thorough basis on which to begin to explore the clarinet and its musical offerings. He aims to break down stereotypes of western art music and ask audiences to embrace new sounds and new musical offerings. Jarrod is the very proud owner of a pair of Backun ‘MoBa’ Cocobolo/Silver clarinets designed and made in Vancouver, Canada by Morrie Backun.